Being fit and active on a regular basis is a challenge for most every single person with a pulse. I know how busy my daily schedule is with two children and working full time. I am very busy all day at work, when I leave here I go pick up the kids and get them to their extracurricular activities, then go home fix dinner and get everyone fed, bathed, homework finished and in bed. So when during the day am I suppose to exercise!?! It’s not “when” or “how” do I have time…it has to be me making time. 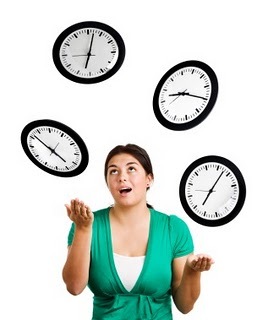 I am sure your life is just as busy and hectic as mine, if not busier. I am hoping to give you some tips and suggestions to help you get more physically active throughout the course of your day. Unfortunately, no matter how much we walk or move around at work, we are not burning off any additional calories for weight loss. We also do not create any new muscle mass or strengthening of our muscles. Our bodies become acclimated to what we do day-in and day-out and the daily typical activities we perform only help to maintain our current status. We have to confuse our body and mix things up on a regular basis to increase our cardiovascular endurance and muscular strength/endurance. So what does that mean with regards to physical activity needs? We need to be physically active 4-5 days per week for 30-45 minutes each day outside of our “normal” daily routine. You do not have to complete your physical activity all at one time. You typically burn more calories when you split up your workouts into smaller bouts of time multiple times throughout the day. I suggest you workout for 10-15 minutes multiple times each day instead of one bout of 30-45 minutes. The reason being, when I am working out and think about having to perform an activity for 30-45 minutes that is a long time. When I have to get in a workout all at one time (i.e. 30-45 minutes), I get in the mindset to “pace” myself so I can make it the entire time. Whereas when I am going to workout for 10-15 minutes, I typically go as hard and as fast as I can so I burn more calories because it is such a short period of time. With it only being 10-15 minutes, I know I have plenty of “gas in the tank” to make it the entire time. Another way of adding some physical activity to your day is by exercising while you watch television. For instance, if you watch a show that is an hour long, you can assume you are going to have 15-18 minutes worth of commercials during the show. If on every commercial break you will get up and perform some type of activity that elevates your heart rate, you will easily complete 15-18 minutes of exercise. 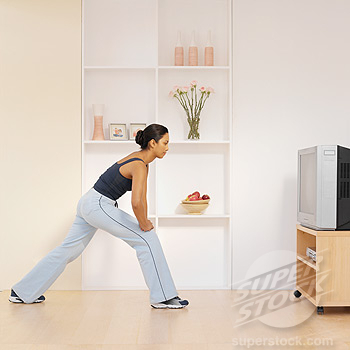 For example, during the commercial breaks get up and walk in place, march, jog, perform jumping jacks, sit-ups, push-ups or a combination of these things. Perform the activity the entire commercial break, when the show comes back on sit back down and rest; next commercial break, get up and go again. This does not require any additional time on your part and does not take away from your day in any way. It’s an easy way to get in 15-18 minutes of exercise and doesn’t require any special planning on your part. The weather is starting to change and with the cooler temperatures exercise regimens or routines tend to drop for many people. There are several easy ways we can continue our workouts even when it’s too chilly to get outside. My “commercial workout”, as mentioned above is one way. 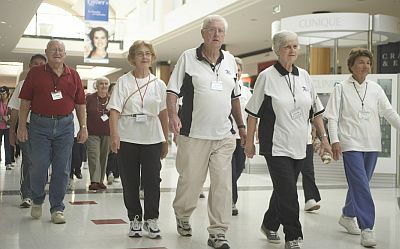 Going to the mall and walking around the mall is another way to get the activity in. Take your tennis shoes (running or walking shoes) and zoom around the mall. Be sure to avoid walking around or through the food court…this can be tempting! Another way to beat the chill is to join a gym, the YMCA or an exercise class or group. Find a workout buddy to exercise with you each day; this will help keep you accountable and get you to go and be active each day. Or you can always bundle up, head outside, get moving and get some fresh air as well. I want you to take this month and dedicate it to getting more physically active on a daily basis. Just get moving! Have a great week! Be looking for my “Best Candy To Eat” coming out in a few weeks with Halloween right around the corner!